John is AV® Preeminent™ Peer Review Rated by Martindale-Hubbell. He was selected for inclusion in The Best Lawyers in America® for Commercial Litigation, Litigation-First Amendment, Litigation-Municipal, and Municipal Law. Notably, Best Lawyers® has named John "St. Louis Municipal Lawyer of the Year" for 2011, 2013 and 2016, "St. Louis Litigation-First Amendment Lawyer of the Year" for 2014 and 2018, and "St. Louis Litigation-Municipal Lawyer of the Year" for 2015. 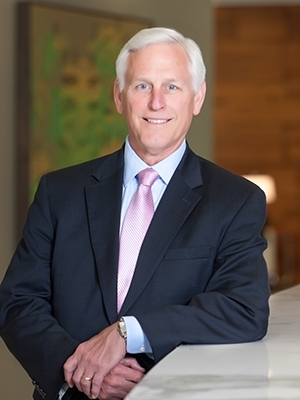 He was selected by his peers for inclusion in The Best Lawyers in America® 2009-2019, and he was selected for inclusion in Missouri & Kansas Super Lawyers® 2009-2016. Top Lawyers in St. Louis, Presidential Who's Who, and Madison Who's Who recognized him in both commercial and municipal law. John also received a proclamation of civic duty from the Bar Association of Metropolitan St. Louis; the Medal of Valor Award from Crusade Against Crime; the 2008 Citizen of the Year from the cities of Kirkwood and Des Peres; and the 2009 Distinguished Alumni Merit Award from Southeast Missouri State University. On the night of February 7, 2008, tragedy struck Kirkwood and Des Peres, MO in Kirkwood City Hall. John, Kirkwood City Attorney, was partaking in the City Council meeting when notoriously outspoken picketer Charles "Cookie" Thornton ambushed City Hall, threatening the lives of approximately 40 citizens and 10 City Council members. After fatally shooting five public officers, Thornton ran after John. Understanding what was at stake, John struck Thornton with three chairs, slowing him until the police arrived and took control. Later that year, the mayor of Kirkwood named John the Citizen of the Year for his acts of valor in City Hall on February 7.